The Blinc Heated Eyelash Curler is simple to use and shapes lashes in seconds. It's innovative design delivers a precise amount of heat, while making it easy to reach even the tiniest lashes. It's sleek, compact size makes it easy to carry, even in the smallest purse. Conventional skin-pinching curlers clamp, dent and use excessive pressure that can damage or even break your lashes. Nothing is better than heat to set a long lasting curl. Heat is used to curl the hair on your head…the same principle applies for your lashes. The challenge is to deliver the precise amount of heat - too much can dry out your lashes, and too little will not set a long lasting curl. Blinc Heated Lash Curler’s temperature control mechanism and protective contact guard ensures its safe use. Your lashes will show extravagant curves that will last all day! Start with middle lashes. Brush upwards to the tips of the lashes. Gently press the lashes back and hold. Prior to using for the first time please remove the small plastic tab found above the positive end (+) of the battery. Take off curler cap and remove the small cleaning brush. Turn curler on and wait until the indicator light behind the comb head changes from red to yellow. Curl the middle lashes first then either side of the lashes. Brush upwards while keeping the curler's heated comb surface pressed against your lashes for three seconds. Continue brushing upwards and hold curler at the tip of your lashes and gently force the lashes back and hold for another three seconds. Turn off when not in use to prolong battery life. 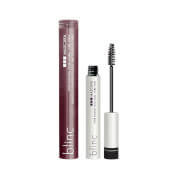 Curl your lashes prior to applying primer and/or mascara. Includes one AAA battery inside the lash curler. Must remove plastic wrapping from battery before lash curler will operate. Safe & easy way to curl lashes! No clamping/ripping out my lashes! Love this curler! I am surprised to see negative comments. Try using after applying your mascara. Love, love it. I tried it and it was hard to use. It would heat too much and burn if you left it too long. The little brush that's by where it gets hot is in the way. It was just very hard to use. if you follow the instruction with patience. I've been using for sometime and like it, but it takes time as it should be held on one spot for 4-6 second to warm the lashes touching the heating part. It sure is different from the regular scrunching curler by pressing all of them at once. I normally do not wear much make up, but powder, mascara and lip sticks So it is just a little change in my morning routine. 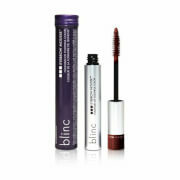 I prefer Blinc Heated Lash Curler over the other traditional one as I feel it is much gentler to my lashes. This did absolutely nothing to my lashes. Waste of money, I should have returned it. This product is not worth your money. Firstly, it doesn't curl your lashes like it claims. Secondly, it broke down after 2 weeks. I should get my money back!! Try Talika, their battery operated curler gives you great results.